Sun Prairie office wins "Best of Sun Prairie" award again. Nice work, team! 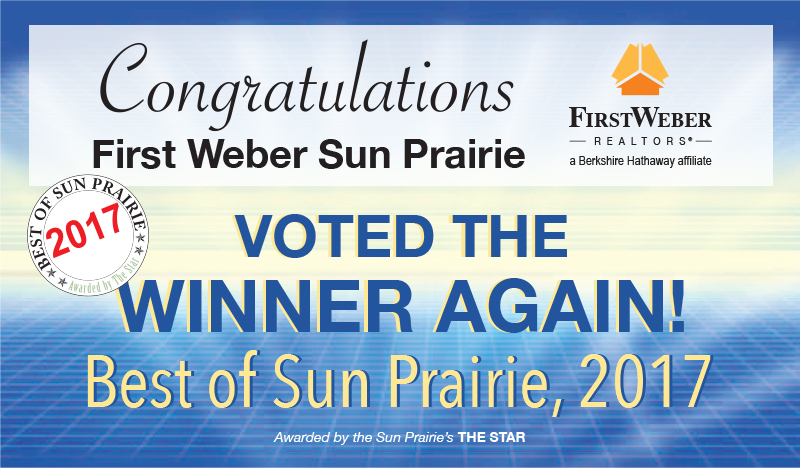 Congratulations to all the agents in First Weber’s Sun Prairie office for being voted the best real estate office in town! The local newspaper, The Sun Prairie Star, ran a poll and subscribers cast their votes for a variety of “bests” in the business. Providing great service to local buyers and sellers has paid off with this award. Nice work, Sun Prairie! And thank you to all local residents who cast their vote for our Sun Prairie office.